Behavioural interviews have always been popular with major international organisations for carrying out in-depth selection processes. Recently however, interest in them seems to have peaked after being popularised by the TV show, The Apprentice just screened in the U.K. The reason I don’t write about this programme is because when I do watch it, for the most part I sit cringing, but also worrying that any potential candidates will take it seriously. Be under no illusion, this is a globally franchised game show where the real heroes are probably the film editors who reduce 100s of hours of material to a dozen hours of slick TV for our entertainment. In it we have seen candidates lying or being facetious on their application forms, lacking basic knowledge of the company they are interviewing for, having very little idea what their transferable skills are and what they can indeed offer. It’s a miracle that anyone get’s hired at all, which is perhaps why there are rumours of 2 endings being filmed. Behavioural-based interviewing is promoted as providing a more objective set of facts on which to base hiring decisions, rather than other interviewing methods. Underlying the philosophy is the idea that the most accurate predictor of future added value is either past performance in similar situations , or observable performance in something new. Competence in these circumstances is supposed to be 55 percent predictive of future on-the-job behavior, while traditional interviewing is said to be only 10 percent predictive. So whereas candidates are unlikely to be chasing around global capitals looking for random items to purchase, or running London visitor tours, organisations are becoming increasingly creative in introducing more challenging situations for potential candidates, than the standard interview process. Behavioural interviews can be part of a battery of candidate assessment tools which will also include: personality and aptitude testing, individual assignment ( e.g. making a presentation, analysing a problem, formulating a solution) group assignments and/or group interviews. Some career columnists maintain that behavioural interviews are difficult to prepare for. In part this can be true – especially in any group task where all candidates are being assessed and you won’t know the other team members. However, if you’ve done your discovery work thoroughly, you will know the challenges in your life/career, what you have done to achieve them, the results and the skills required to achieve those results. These will be articulated in your mission statement of your CV and in your elevator soundbites. So not a problem. You will have an arsenal of experiences you can call upon to illustrate as required. What any organisation is looking for is how you deal with situations, even those with some sort of negative outcome can have value. If you have never dealt with the problem thrown at you, don’t be afraid to say so. Perhaps you have seen someone else in action in the same or similar position (a boss, colleague, family member). Describe what you observed or even describe an experience of your own which required parallel skills. Even take an educated guess. The behavioral interviewer will delve into specific aspects of your response and probe for greater detail “What were you thinking at that point?” or ” Tell me more ..” or “Lead me through ..” Let’s go back to” if you haven’t done your CARS work properly, or you are a shadow of your own resumé, this is where you risk coming unstuck. Increasingly these are sent out by employers and taken on-line and there are always possibilities to have practise runs. There are any number of propriety brands on the market which are used by the major organisations. Many even have their own in-house assessment and testing facilities. 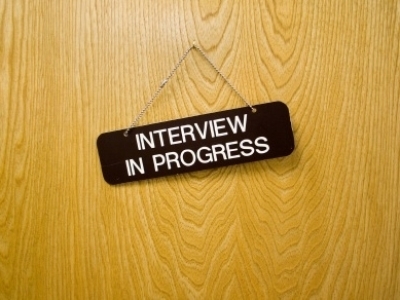 Sometimes candidates are asked to come to an interview prepared to deliver a presentation or a project. In other circumstances they will be handed one on arrival and given time to prepare. It could be a sales or marketing pitch, a negotiation or conflict situation, a managerial issue or a business strategy. This will also involve digging deep into your C.A.R.S work and previous experience. These are team based exercises and evaluation is made on the basis of the different input of individual team members in exactly the same way as employees collaborate in the workplace. They are constructed/designed to make individual assessment in areas such as decision-making, confidence, strategic analysis or time management . They also illustrate how all group members act within a team environment : who emerges as a leader, who is the strategic thinker, who is the compiler, communication styles and how is conflict handled. Organisations look for skill set and personality diversity, so there is no right or wrong way of doing this. This can be anything from an office based theoretical project ( ” your plane has crashed in the Amazon rain forest, what items would you look for in the wreckage and why?”, to something practical such as building a fence or constructing a Lego project. I am hearing more and more about this particularly at entry-level, where significant numbers of candidates are interviewed simultaneously, as many as 12 -15 at a time where they are asked to deliver their elevator pitch in front of the group , as well as company assessors. In one case it was to camera (it wasn’t a media opening) and in another there was also peer evaluation, almost in the Apprentice way. This was possibly to save organisational time and to test the candidates under pressure. The candidate feedback I received was that it was a challenging experience, with most feeling they didn’t acquit themselves well mainly because of nerves.The organisation which asked not to be named said ” It was a cost and time effective way of identifying the best candidates. We screened 80 candidates in 2 days resulting in a shortlist of 6, who went on to in-depth, one to one interviews. We are delighted with the process“. It’s perhaps not surprising that the ultimate winner of the 2010 UK Apprentice Stella English at 31, had previous interview experience. Practise makes perfect. So will you be hired or end up on the cutting room floor?